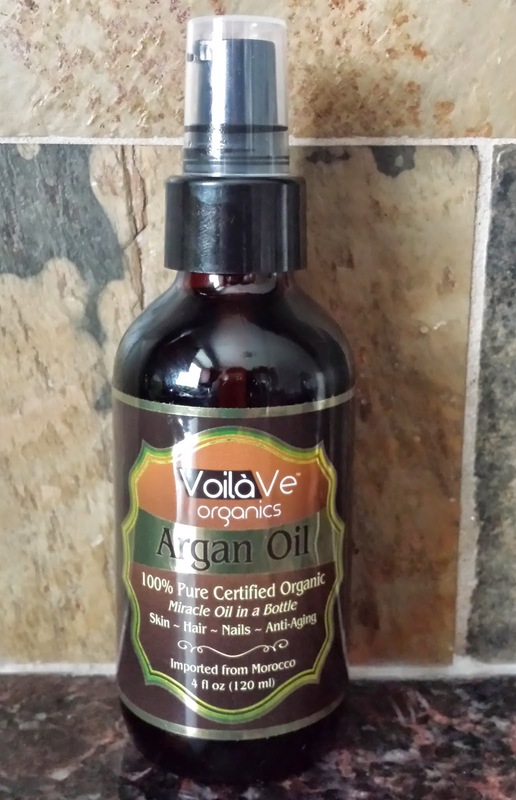 Recently Everything Beauty and Beyond was given a full size sample of this organic argan oil by the company VoilaVe. To be honest, when they first contact me I was surprised as I had never heard of them. However I have found many times that much smaller companies tend to provide better quality products. This arrived to my house a little over two weeks ago and I was totally surprised by the size of the bottle. It was a 4 oz size bottle which is considered massive (in my opinion) compared to the other companies that sell argan oil. It came in a dark opaque glass bottle with a pump which was a first for me! I actually loved the idea of the pump because it was great in not allowing unnecessary air, light or bacteria into the bottle. 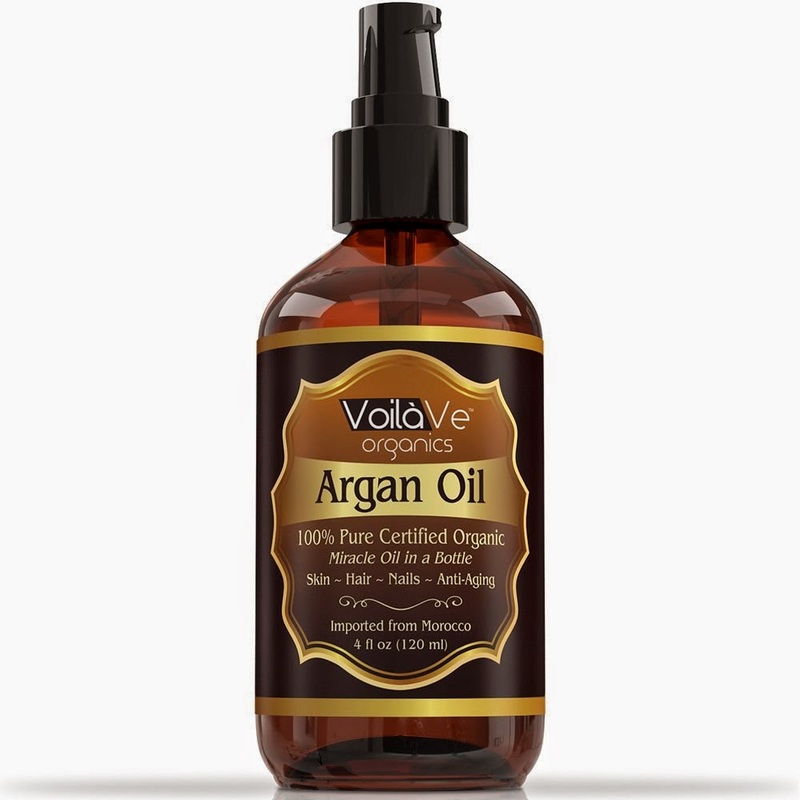 This argan oil is also 100% certified Organic & ECO and USDA Certified. So you know you are buying the real thing when you purchase this. When I first applied this serum, I was impressed by the texture. This serum was so silky. This for sure was something I have never felt before. It didn't feel heavy weight or greasy (though we know its an oil) and adsorb really quick on to the skin. It didn't have any rancid smell and no settlements so far have come out the bottle. It was a yellow clearish color (if that makes sense) and wasn't runny or watery. I decided first to try this on my hands as a moisturizer because of the pump. I tell you I was freaking in love with this pump. I first applied it to my hands, arms and elbows and it really helped with the dryness with no greasy feeling left behind. I then moved on to my face at night when it was time for night time skin care routine. I normally use argan oil at night as my final step when I wash my face. I loved how great it felt on my skin and no heavy or oily residue was left behind. However I did have one issue. Since this is a pump; I normally only use 2-3 drops of agran oil on face, neck and chest and this gave me way to much. I had to rub the rest on my arms and elbows. In this case I think the pump backfires by giving you more product then what you need if you plan to apply it to your face. So try pumping it less then half way in order to get the right amount of oil you need for smaller areas of your body. After that, I applied some more on my hair since I had just washed it in the shower. I love the fact that it didn't leave it greasy or weighed down and really smelled and looked beautiful when blow dried my hair the next day. To be honest I am in awe of the size of this bottle and the handy little pump it comes with. When I first tried argan oil, it was a sample I received from my beloved Sephora from Josie Maran 100% argan oil. However the price for that 1.5 oz bottle was outrageous and I refused to pay almost $90 for a bottle of that size let alone for a product I was unsure about. I then went and hit the internet and found what argan oil needs to have in order to be considered 'real' and what the actual price ranges would be and trust me they were way more reasonable then Josie Maran. So far this company has impressed me and I plan to keep using their product for all my argan oil needs!